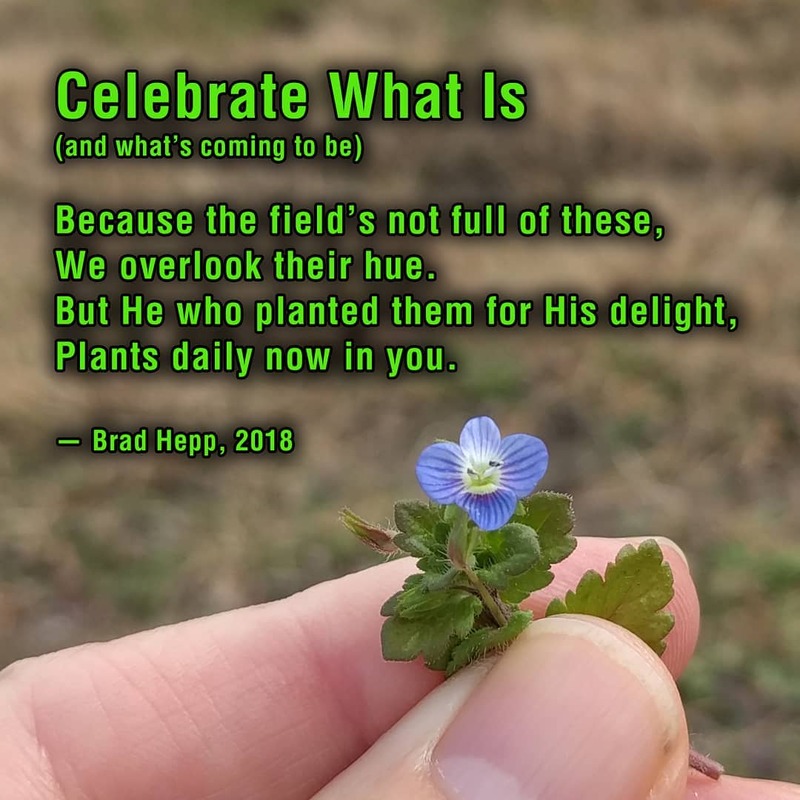 Posted byBrad Hepp November 25, 2018 April 17, 2019 Leave a comment on Celebrate What Is! When I go for walks in the winter, I’m impressed with little flowers like this one: Buxbaum’s Speedwell. Now THAT’S a flower name for you! Its very name conveys a positive spirit. In a Dallas Seminary Romans course we were in chapter 8, and Dr. Grassmick said to the class of about 20 seminarians, “Raise your hand if you are led by the Spirit of God.” Only three had the temerity to raise their hands. Three out of 20 SEMINARIANS, men (it would be men and women now) who were spending their lives studying God’s word and preparing to lead others in the spiritual life. Were the 17 who did not raise their hands REALLY not led by the Spirit of God? Were they simply humble? Or were they — what I suspect, and am trying to process — failing to recognize and celebrate the ways in which the Spirit was indeed leading them? Even in the dead of winter, buds begin to form. One can lament the cold, or one can notice and celebrate the signs of life. I want to CELEBRATE WHAT IS. Yes, I’m still a sinner. The glass IS sometimes four-fifths empty. But THANK GOD, the glass IS one-fifth full!